The National Basketball Association (NBA) and Foot Locker Canada have announced a multiyear marketing partnership making the global athletic footwear and apparel retailer an Official Partner of the NBA in Canada. Through this partnership, Foot Locker will help further grow basketball and engage fans by participating in league events held in Canada — including NBA Canada Series and the NBA BIG Tour — and marquee NBA events throughout the season, as well as by conducting a variety of NBA-themed promotions in stores across the country. The NBA and Foot Locker also announced today a new comprehensive, multiyear marketing partnership that makes Foot Locker an official marketing partner of the league in the U.S. for the first time. As part of this partnership, Foot Locker will continue as the title partner of the Foot Locker Three-Point Contest, an event featuring the NBA’s best from long range competing against one another. 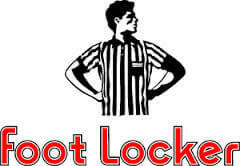 Foot Locker has been the title partner of this exciting competition since 2004. As part of NBA Canada Series, which took place October 20 in Montreal between the Boston Celtics and Minnesota Timberwolves, Foot Locker Canada ran an NBA Canada Series Fantasy Camp for select youth in Montreal. NBA Legend, Robert Parish was on hand to surprise the clinic participants and pass along his best advice. Foot Locker also received national exposure during the game broadcast on TSN 2 as well as through in-arena signage at the game. Foot Locker also presented the Foot Locker Three Point Contest for fans at the NBA BIG Tour, a grassroots fan event which travelled to major shopping malls in five Canadian cities this September and October. Foot Locker will also run promotions around marquee NBA events – including NBA All-Star and the NBA Draft presented by State Farm – that will offer exciting prize packages for fans. The NBA All-Star package includes tickets for two to NBA Jam Session, All-Star Saturday Night, and the All-Star Game, as well as an opportunity to participate in the NBA’s All-Star Day of Service alongside NBA players. A second prize package will include two tickets to the NBA Draft presented by State Farm. Foot Locker and the NBA previously partnered on the first-ever NBA Canada Series held at the start of the 2012-13 NBA season, which featured preseason games in Montreal and Winnipeg.